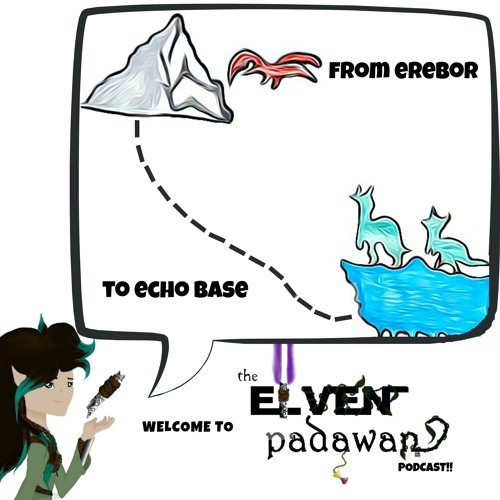 The Elven Padawan podcast is back from hiatus! Shay is joined by fellow teen fangirl, Grace, who also happens to be an up-and-coming fan artist. As you've come to expect from this podcast, the episode starts out with a review of the most recent Star Wars news; they review the most recent batch of Forces of Destiny shorts and discuss whether they believe these are "necessary" additions to the Star Wars franchise; they cover the announcement of Star Wars Resistance, their ideas on the new style for the show, and which returning characters they would most like to see come into play; and with the premire of Solo: A Star Wars Story only a short way ahead, they discuss their feelings towards the film, and the characters of Han Solo and Lando Calrissian in general. Finally, in honor of Mother's Day, they discuss some of the great mother characters throughout the saga, with a special emphasis on Leia Organa and Hera Syndulla. They also fail miserably with any attempt to NOT rant for a half hour about Star Wars Rebels. Please subscribe and leave a review on SoundCloud, iTunes, and GooglePlay Music! Follow on Twitter: twitter.com/ElvenPadawan If you have a question or comment, send them to me through Twitter or at www.elvenpadawan.com/contact/ Check out the website for shownotes and a complete list of all soundeffects and music used in this episode: www.elvenpadawan.com. You can also find a full interview Shay did with Grace as well as some samples of her amazing artwork on the blog!